Cupcakes and Chat at The Cherry Tree Cafe. Heidi Swain Talks About Second Novel Syndrome. 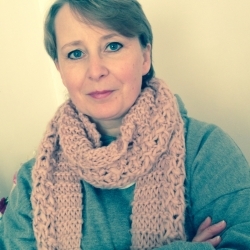 This week I'm delighted to welcome back Heidi Swain. Heidi's first novel, The Cherry Tree Cafe, was published last month. She is an old friend of this blog and knows the importance of arriving with cakes. So, while I root through the confectioner's box in search of the prettiest cupcake, here's Heidi to tell us about the dreaded Second Novel Syndrome. Hello Susanna! Thank you so much for inviting me to feature on your fabulous blog again. I am absolutely delighted to be here, although when you read what I have to say you might wish you hadn’t invited me…I’m here today to reveal a secret. It isn’t something that as a fledging author I was warned about however, having discovered the horror for myself I think it’s only fair to pass the knowledge on. 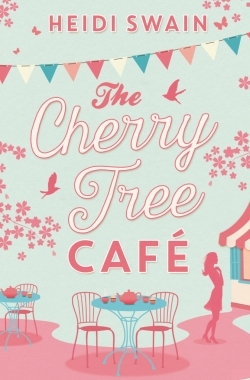 Some of you may know that on July 16th this year my debut novel, The Cherry Tree Cafe was published by Simon and Schuster. Some of you may have even read it. If you have I hope you enjoyed it and haven’t gained too much weight from all the cake consumption that seems an obligatory part of the reading process when you step through the Café door! The novel has received wonderful reviews and is making good sales and although I am absolutely thrilled I have to tell you, it isn’t all plain sailing. Have you ever heard of Second Novel Syndrome? My deepest sympathies if you have and consider this as a heads up if you haven’t. Second Novel Syndrome, or SNS, can descend at any point during planning, plotting or writing your second novel. It is all-consuming, relentless in its attack and leaves you, the author, bereft, adrift and utterly convinced that you will never be able to produce a novel anywhere near as good as the first. And don’t forget, if you are traditionally published, if you have bagged that longed-for book deal, you have the added pressure of a deadline, an editor and contractual obligations! In fact, you might just as well hand the laptop over to the kids to hone their Minecraft skills right now, for all the good you can do with it. But fear not. There is a way through the labyrinth. You just have to keep writing. Start that first draft and don’t look back until you type The End. Set it aside for a couple of weeks then read the whole manuscript on a different device or on paper and then dive back in and begin editing. Oh, and make sure you surround yourself with writer-type pals because family and friends just don’t understand the neuroses that SNS brings with it. Such is the crazy path that makes up The Writing Life! Thanks for joining me today, Heidi. Here are Heidi's links so you can connect with her. Lizzie Dixon's life feels as though it's fallen apart. Instead of the marriage proposal she was hoping for from her boyfriend, she is unceremoniously dumped, and her job is about to go the same way. So, there's only one option: to go back home to the village she grew up in and to try to start again. Her best friend Jemma is delighted Lizzie has come back home. She has just bought a little cafe and needs help in getting it ready for the grand opening. And Lizzie's sewing skills are just what she needs. With a new venture and a new home, things are looking much brighter for Lizzie. But can she get over her broken heart, and will an old flame reignite a love from long ago...? For everyone who loves settling down to watch Great British Bake-Off, the Great British Sewing Bee, or curling up to read Milly Johnson or Jenny Colgan, The Cherry Tree Cafe is a coffee-break treat. What a good idea, Wendy. I can see why that would be helpful and provide reassurance. It's also reassuring to know that the difficult times happen to everybody. Thanks for visiting and leaving a comment. Yes, Heidi, you're so right. After Second Novel Syndrome there's Third Novel Syndrome and so on. But... at least by then you know it's The Norm and has just to be worked through to defeat it! I write a sort of journal when I'm writing a novel, logging my lows and the breakthrough moments, which I refer back to next time around when I don't feel I'm getting anywhere. Then it's a case of... "Ah, yes, I see I felt exactly the same way at that point last time around...." It's very comforting and reassuring!